Sweet, loving and lovable, kooky, fun, full of life, and adventurous, Leann never believed in saying goodbye. She would say, “See ya when I see ya,” with a huge grin on her face. She left this life after a brief battle with cancer on October 29th, surrounded by family. Leann was born to Jim and Ruth (Officer) Marshall on May 23, 1951 in Livingston, Montana. In her early years the family lived in Bozeman, Billings, and Great Falls until moving to Missoula when she was in the second grade. 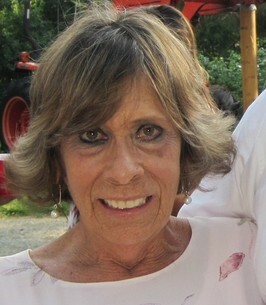 Leann attended Willard Grade School and graduated from Hellgate High School In 1969. She earned bachelor’s and master’s degrees in Education from the University of Montana. She was a huge Griz fan. For 29 years, hundreds of lucky pre-kindergarten and kindergarten students had Leann for a teacher. She taught in Frenchtown and in Helena, where she retired. Leann loved kids and according to those who knew her, she fit right in with them. After her retirement, Leann and her husband, Kent, thoroughly enjoyed a freewheeling lifestyle in their motorhome year-round. Kent said that Leann, who was always directionally challenged, served as his “naviguesser.” They spent the past 17 years living as snow birds in the winter and were residents of Trout Creek at the Marshall family lake place in the summer. Leann loved this retreat where she spent time with her whole family and numerous friends. Gardening, beading, making jam, boat riding, capturing sunsets, and making everyone feel welcomed and loved were Leann’s joys. Always an adventurer, Leann claimed bragging rights for being the first gramma in the lake each spring. Leann’s parents, Jim and Ruth Marshall preceded her in death. Leann is survived by her husband Kent Johnson, on the road in their traveling home; daughter Abby Murphy Johnson and her beloved grandchildren Gracie Johnson, Tripp O’Connor, and Chase O’Connor of Billings; step children Shannon (Ian) Francis, Arlington VA and Eric (Fabiola) France; brother Jim Marshall (Jackie), Fallbrook CA, sister Vicki Cocchiarella, Missoula; former brother-in-law Larry Cocchiarella, Missoula; niece Cara Cocchiarella, Portland OR; nephew Mike (Mindy) Cocchiarella, Ferndale WA; niece Lexi Marshall, Phoenix AZ, nephew Tyler Marshall, Mesa AZ; brother-in-law Kirk (Marsha) Johnson, Helena; nephew Cole (Amanda)Johnson,Helena; and her furry kids - Lady and Emma. At Leann’s request the family will hold a celebration of life at Trout Creek in the summer. All will be invited at later date. We want to thank our family and friends for their love and support. SEE YA WHEN WE SEE YA SWEET LEANN. To send flowers to the family of Leann Marshall Johnson, please visit our Heartfelt Sympathies Store. We encourage you to share any memorable photos or stories about Leann. All tributes placed on and purchased through this memorial website will remain on in perpetuity for future generations.